Full-service television production facilities in conveniently-located Mid-Wilshire. Meruelo Studios features two stages up to 4,000 square feet, production office space, dressing and make-up rooms, state-of-the art control room and camera and light packages to suit the needs of nearly any production - live, on-location or recorded! Meruelo Studios is located in the former home of the GAM Arts Center, a Hollywood landmark recognized for its unique architecture with the AIA Award for design of an industrial building. Guests to Meruelo Studios can check in via the main lobby on S. Mansfield Avenue, manned with professional and courteous security personnel. 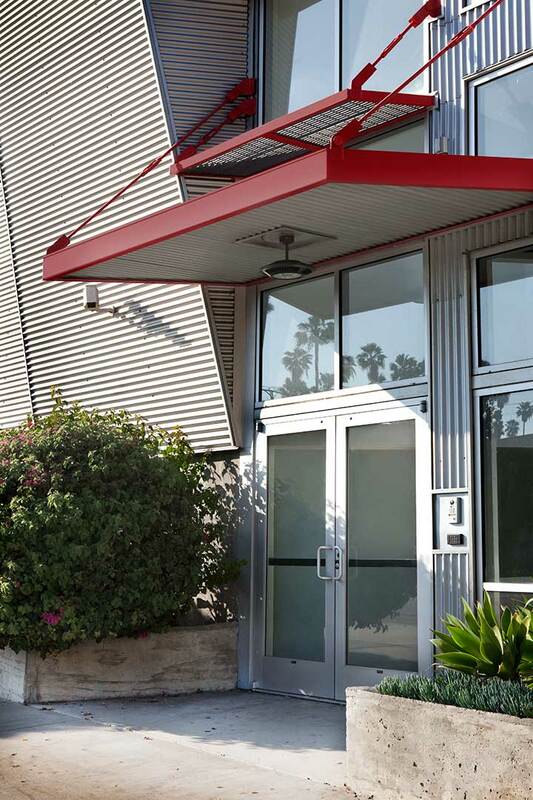 Production customers can access offices and studio space directly via a private entrance on Pico Blvd.